The reader is given an intimate memoir of Jewish adolescence and life from a young woman's perspective in an Eastern European shtetl at the end of the nineteenth century. Hinde Bergner, future mother of one of Yiddish literature's greatest poets and grandmother of one of Israel's leading painters, recalls the gradual impact of modernization on a traditional world as she finds herself caught between her thirst for a European education and true love, and the expectations of her traditional family. Written during the late 1930s as a series of episodes mailed to her children, and never completed due to Bergner's murder at the hand of the Nazis, the memoir provides details about her teachers and matchmakers, domestic religion and customs, and the colorful characters that peopled a Jewish world that is no more. 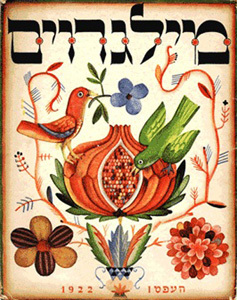 Translated from the Yiddish and with a critical introduction by Justin Cammy, it is a lively addition to the library of Jewish women's memoir, and should be of interest to students of Eastern European Jewish culture and women's studies. Written by Hinde Bergner, translated and edited by Justin Cammy. Cammy, Justin and Bergner, Hinde, "On Long Winter Nights: Memoirs of a Jewish Family in a Galician Township 1870-1890" (2005). Jewish Studies: Faculty Books, Smith College, Northampton, MA.